For our 2019 BB Book Club we've put together a printable list of twelve different prompts. 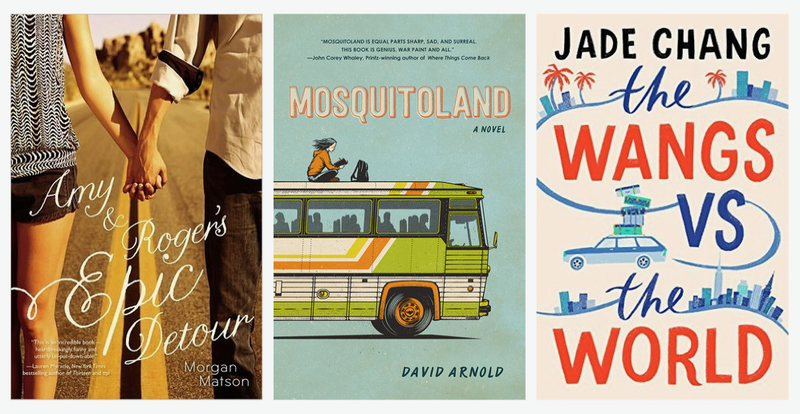 On the 1st day of each month, we'll be introducing you to the month's prompt and the books team members each plan to read, along with some other suggested reads we think you'll love. Of course, these are just ideas so please feel free to interpret the prompts however you wish! We're also inviting you to share photos and mini reviews of your book club picks on social media using #bookshelfbookclub and tag @bloggersbookshelf on Instagram. "The classic road trip novel with a diverse twist! Excited to see how Jade Chang takes a genre that's so quintessentially American and weaves in the immigrant story." "I've seen this book around on Goodreads, blogs and in bookstores and have heard it's a fun and funny read. I've been meaning to pick it up for a while now so this is the perfect opportunity. Looking forward to reading about Mim's travel adventures on a Greyhound bus!" "I really enjoyed reading Amy & Roger's Epic Detour back in 2015 and feel that a re-read is long overdue. Luckily, January's challenge is the perfect opportunity to dust off my Kindle and revisit the story."